Zippers, buttons, rulers, and marking supplies. Browse our large scissor selection. Find every type of machine needle. Using better products makes sewing more fun! We have many different stabilizers, embroidery hoops, and other supplies in stock every day. Ask our staff for recommendations to keep your next embroidery project flat and smooth. Visit our "Wall of Thread"! Choose from over 20 feet of threads from regular to decorative, quilting and serging too. 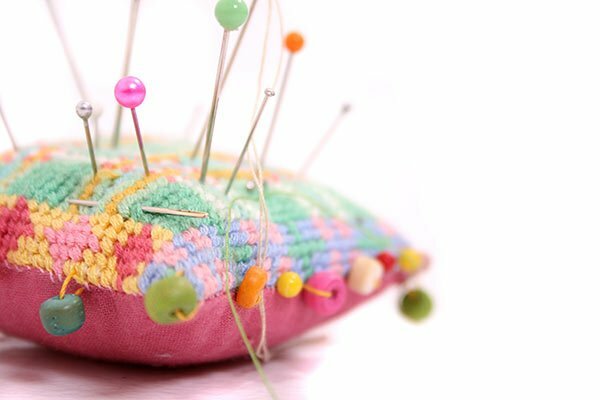 Tell us about your project and we will recommend the right thread and needle combination to make it a breeze! Choose fabrics that suit your style! High-quality fabrics starting at $5.99 per yard. Buy $11.99 fabric for only $7.99 per yard. Just buy at least a yard cut.